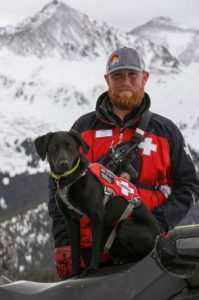 The C-RAD mission is to cultivate, inspire, and produce dog teams for successful avalanche search and rescue. As a 501(c)3 non-profit organization, we depend on your support to continue to thrive. Donations will be used to enhance education and validation opportunities for current and potential avalanche rescue teams, as well as to increase public awareness of C-RAD so we can continue to further our mission. Click the button below to donate securely through PayPal. All donations to are tax-deductible. Thank you for your support! IMPORTANT NOTE: To receive your tax-deductible info, follow PayPal’s prompts on the PayPal donation confirmation page.